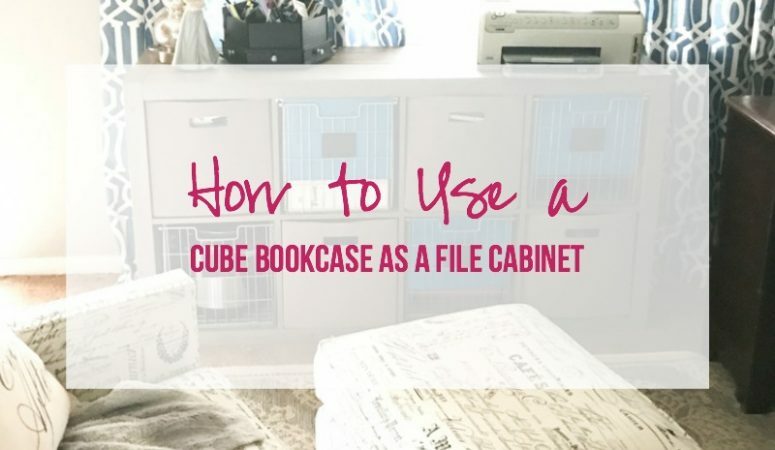 How to Use a Cube Bookcase as a File Cabinet - Happily Ever After, Etc. We have been working on the hubby’s office one small step at a time. 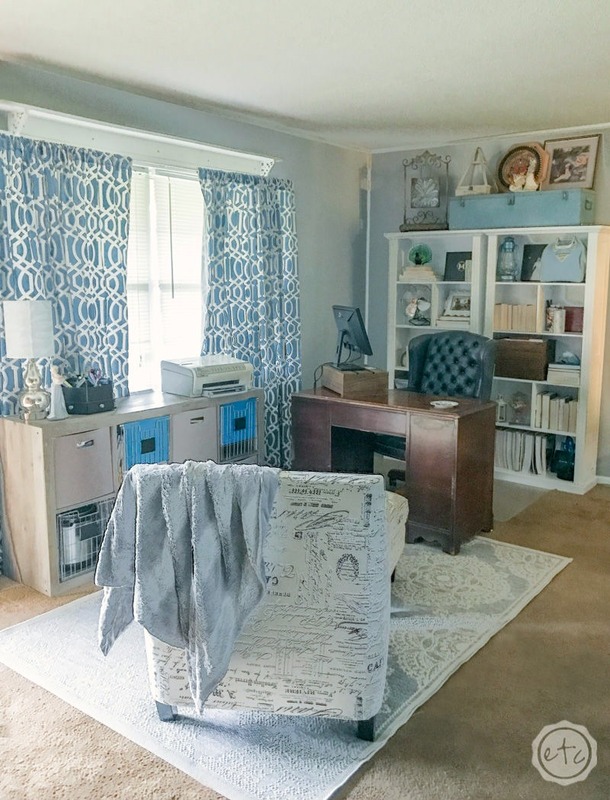 His office was both a huge challenge and the easiest room in the house! His room already had so. much. furniture. Basically it was allllll set up but with hand-me-downs and all the left over pieces of furniture from the rest of the house. So we could have left it alone and been completely finished… easy right? But we wanted form and function so we thought about which pieces we needed to replace so that the room would function just a little bit better. 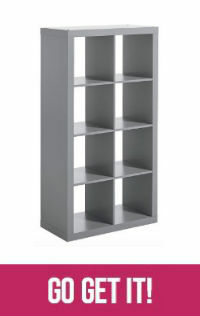 The first piece we added were the bookcases behind the hubby’s desk. He had a little short brown bookcase back there that wouldn’t even hold all of his books. 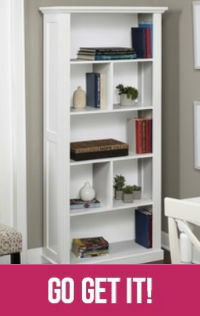 So we brought in two tall white bookcases for all. the. storage. Then it was time to tackle the file cabinets. We had two old file cabinets that functioned fine but they looked like crap. Let’s be honest. 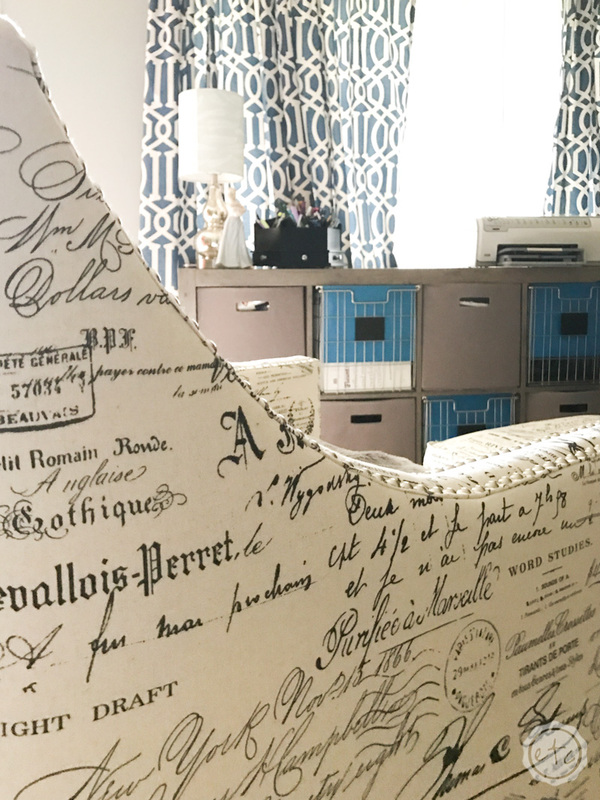 I thought about giving them a bit of a makeover, I’ve seen amazing file cabinet transformations on Pinterest with contact paper and wood… but ours had curved edges and didn’t quite work with anything I tried. So we decided to re-locate them to the laundry room and go with a new a different idea. In case any of you are thinking of doing something similar we went with metal baskets for four of our spots and fabric cubes for the other four. 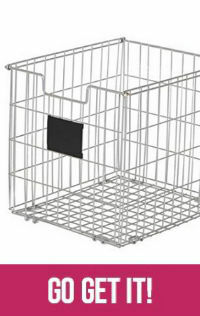 These metal baskets are the perfect solution for using our cubed bookcase as a file cabinet! 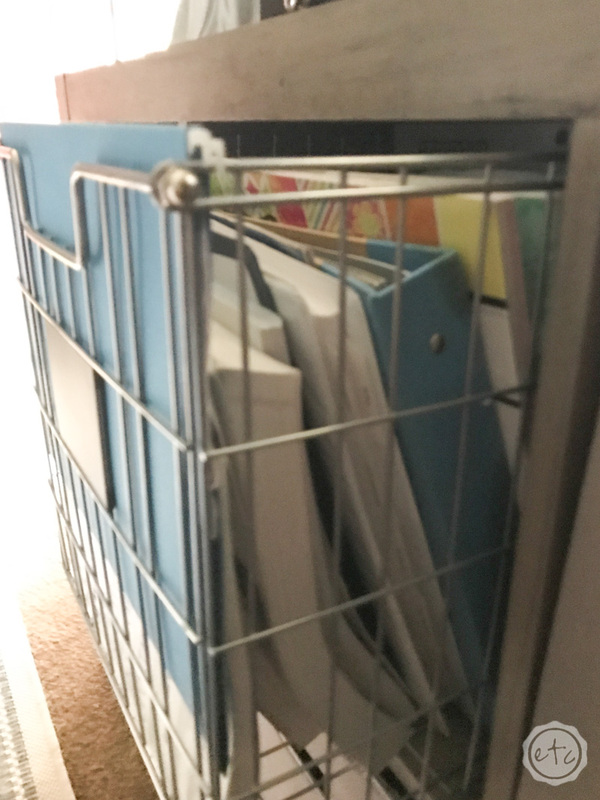 They are sturdy which is important… the fabric cubes are the same size but the sizes would collapse over the weight of the hanging file folders. 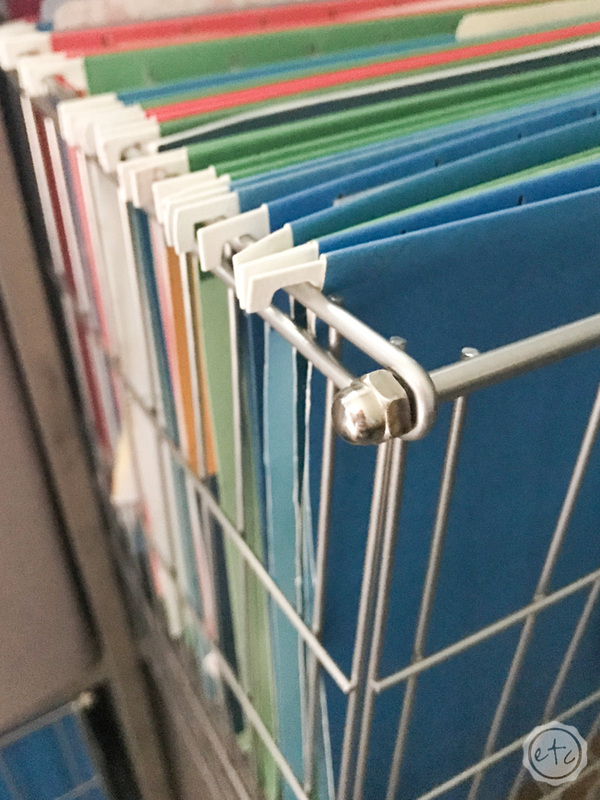 We chose hanging file folders to keep our files easily accessible… they fit perfectly into the metal baskets so that they stay suspended at the top of the basket. 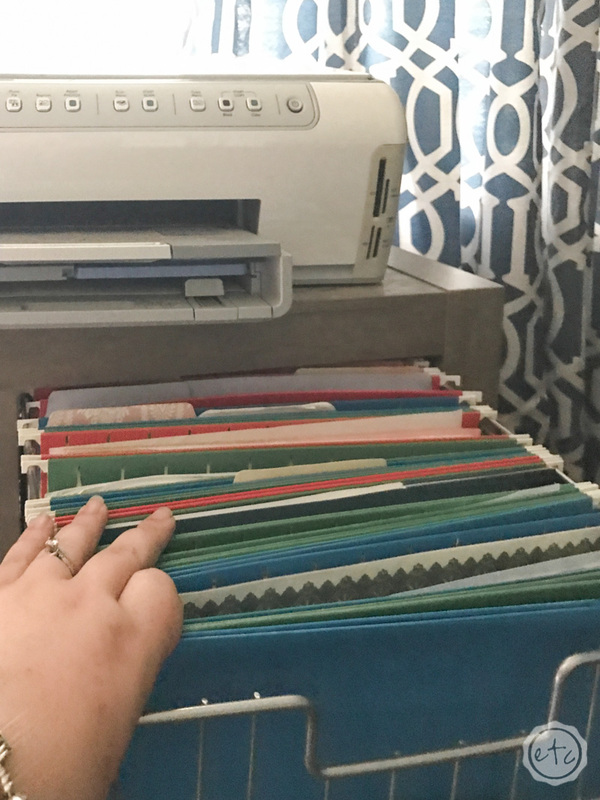 They slide easily back and forth too… just like the tracks of an actual file cabinet! It’s the perfect solution. 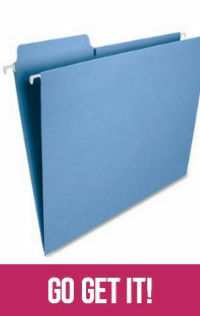 We actually had quite a few hanging file folders from our file cabinets so we didn’t need to buy any new supplies… although I did make sure to put the blue hanging file folders at the front so that they coordinated with the rest of the room. 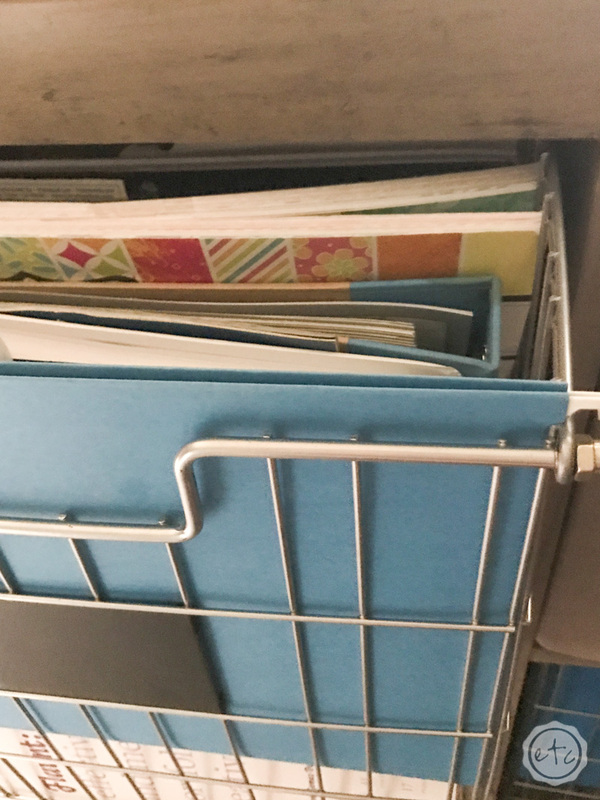 The hubby’s just lucky we already had these and couldn’t justify buying new ones because I found gorgeous rose gold hanging file folders… and they are amazing. 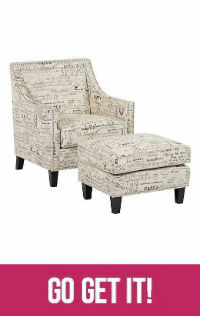 I need them for my office!! I’ll use them somewhere, I promise! Someone else buy them so I can live vicariously through you! Here’s a fun tip! 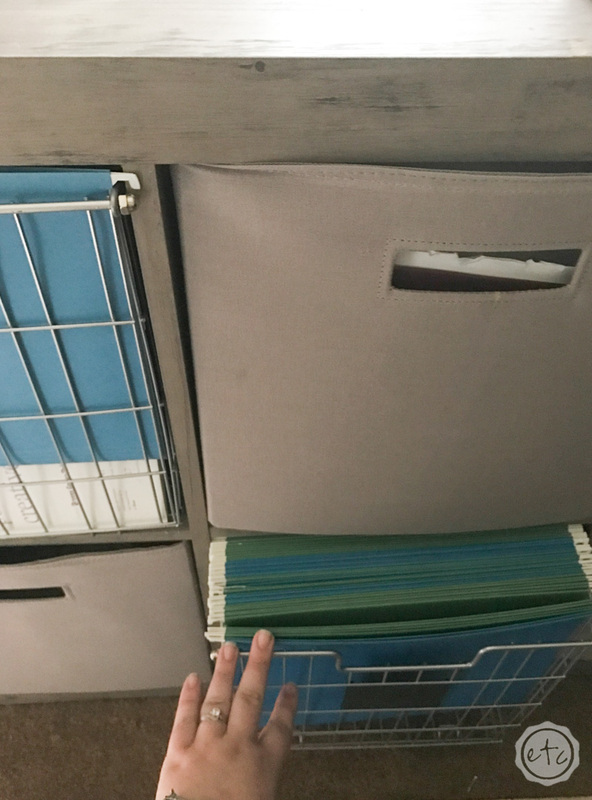 Only two of the metal baskets are actually full of files… the third one is a decoy! We have a few books in this basket and they don’t look… quite as pretty as I imagined. If you have a basket that you want to keep private but you’ve already used all of your fabric bins it’s alright! 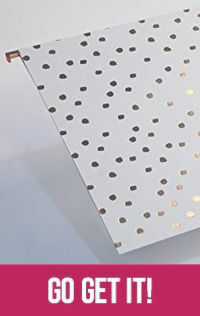 Just hang a file folder at the front and volia! Your mess is concealed! I was pretty proud of myself for that little trick. That’s it y’all! 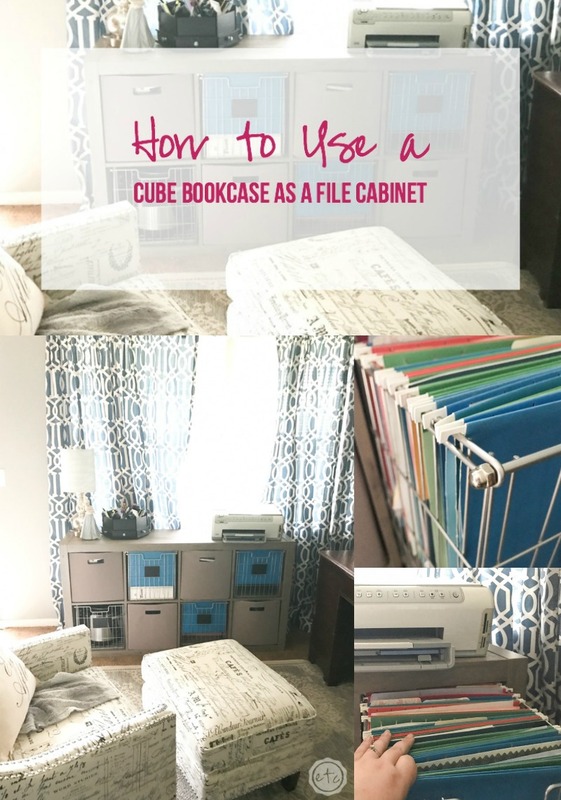 This is seriously the easiest tutorial ever… grab a few metal cube baskets for your cubed bookcase and put hanging file folders on it! Do you love it as much as I do? Let me know in the comments! Want to Check Out the Rest of the Office? I was trying to figure out how to do something like this, especially with the hanging files. That silver bin is totally fab! 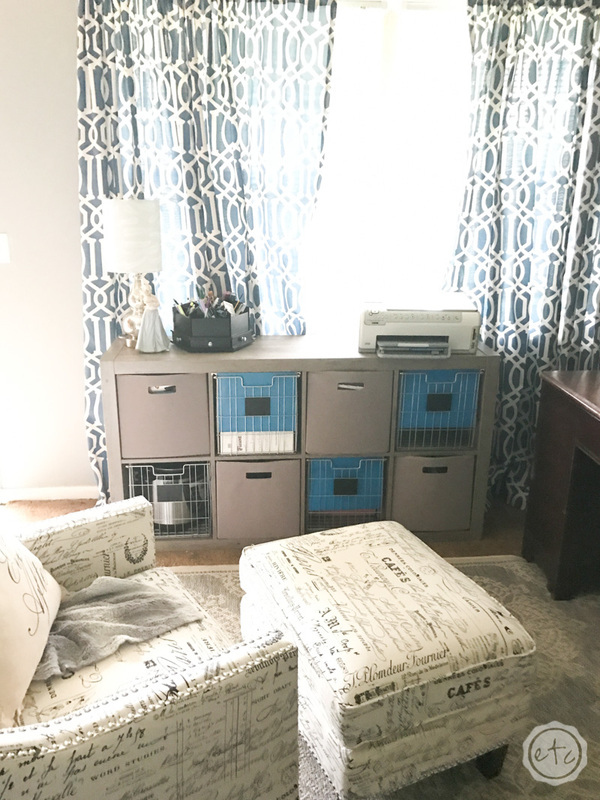 I orders some bins and some fabric cubes and making it work in my tiny living/ office. Thank you for putting the vision in my head in pictures! !